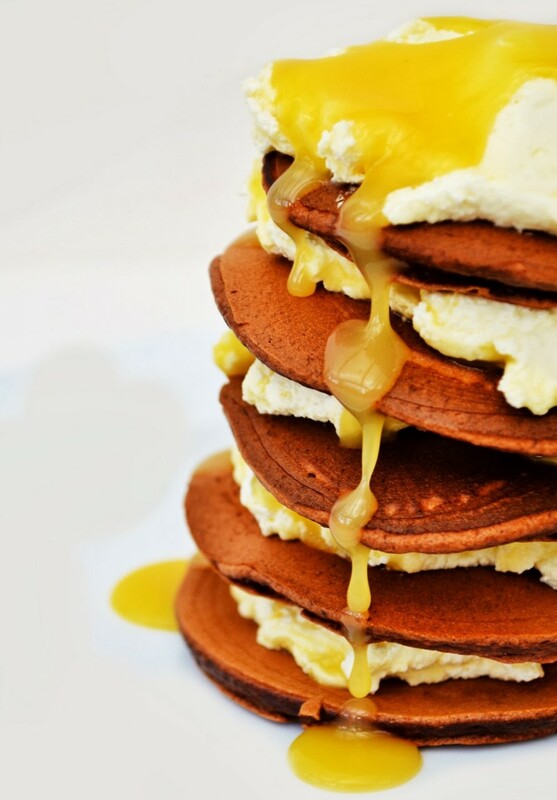 Chocolate and lemon curd pancakes. We all love pancakes, don't we, but often we forget all about them until pancake day rolls around again. I've been making a lot of pancakes recently, including the most amazing homemade fluff and chocolate pancakes. 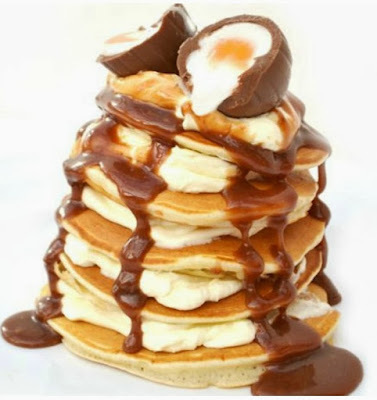 Pancake Day, which is also known as Shrove Tuesday, Fat Tuesday or Mardi Gras falls 47 days before Easter Sunday. To save you counting back through your calendar with your finger, just do a quick google search for the correct date each year. Shrove Tuesday is the day before Lent and traditionally it was the time to use up all your luxury products like butter and eggs before you give it all up for the lean days of lent. Pancakes were the perfect recipe to use up all the butter and eggs for that last treat and so Shrove Tuesday became known as pancake day. My final pancake recipe before Lent is Chocolate and Lemon Curd Pancakes. I used my favourite Scotch Pancakes recipe again, but this time I added cocoa, a bit extra sugar and less flour. They worked out really well. I think Cooper would have preferred them to be a bit sweeter, but I thought they were fine this way. Feel free to add a little more sugar if you wish. I layered my chocolate pancakes with thickly whipped double cream swirled with lemon curd, but that wasn't enough lemon curd for me, so I drizzled some over my pancake stack as well. It's always handy to have a jar of lemon curd in your store cupboard, but homemade lemon curd is so, so good and much nicer than jarred curd. You could try my traditional lemon and nutmeg curd recipe or for an even quicker curd without all the stirring, try my blender lime curd. It's quick and frothy, as light as air but just as delicious as standard curd. My blender recipe is for lime curd, but you can swap the limes out and use lemons instead for an equally amazing recipe. Everyone is going pancake crazy just now, it's not just me? Go to any blog and you're bound to find pancakes. Even the supermarkets are going pancake crazy. Apparently there will be approximately 117 million pancakes eaten on Pancake Day. 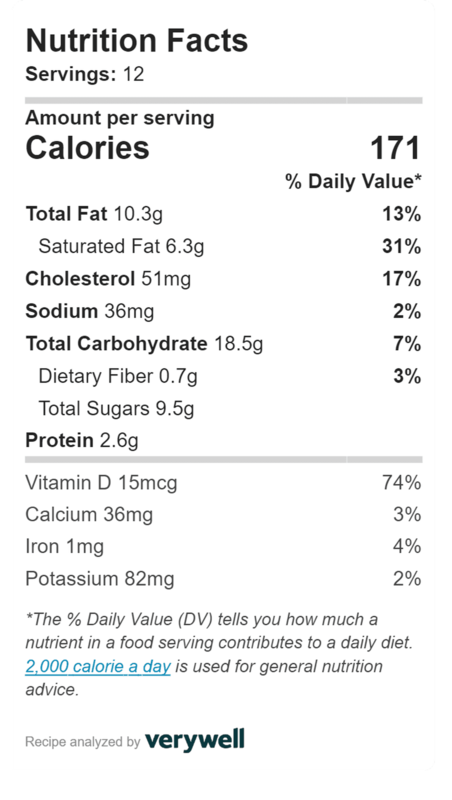 Save or pin this recipe and make some pancakes soon! A simple recipe for chocolate pancakes. 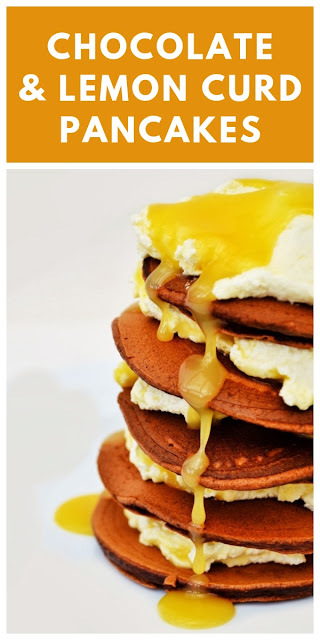 For a treat stack them up with lemon curd and whipped cream. Free printable recipe. Heat a non-stick frying pan on your gas or electric hob. In a jug whisk together 1 large egg and half a cup of milk. Sieve the flour and cocoa powder into a large bowl with the sugar and salt, pour in the egg mixture and whisk in until well combined. Pour 1 tbsp of batter into the pan for each pancake. Use the back of your spoon to smooth it gently into a circle. Each pancake with take a couple of minutes, once they have a lot of bubbles over the surface, flip it. It only needs seconds on the other side to cook. Keep going until you have used all your batter, but don't try to cook too many at once, give them space in the pan. Whip the cream until thick, then swirl some lemon curd through it. Once they are a little cooler, stack the pancakes with a filling of cream between each layer. Top with a dollop of cream and drizzle curd from the top. 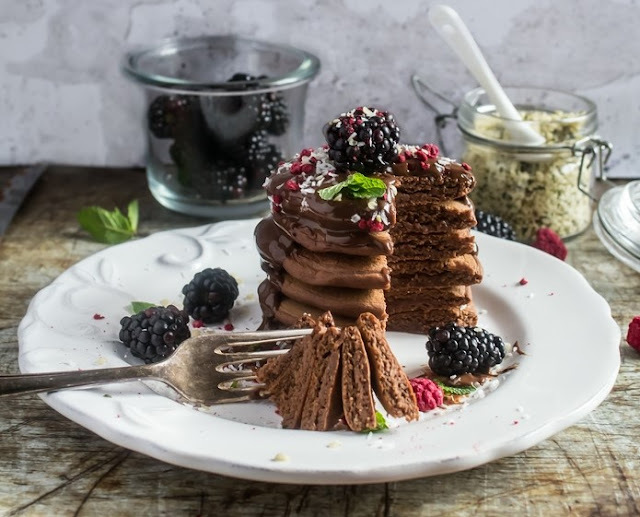 Healthier chocolate pancakes made with oats, banana, chia seeds and cocoa. Served with a chocolate sauce and berries. The sauce is optional, but totally delicious. The pancakes look yummy and delicious. Click is awesome. I think these are my favourites of all the pancakes you have made, but then I have a bit of a thing for lemon curd! Too much temptation and how am I ever going to decide what to make on pancake day if you keep making such divine looking pancakes?! Your pancakes look delicious - My little man insisted on pancakes after tea tonight, he had them with homemade strawberry jam, lemon juice and sugar, this is how my mam used to make them when I was a kid. I could eat pancakes eveyday they are the best. They are good. My wee Cooper has had enough of them now though. I love pancakes any time of the year, my favourite is simply American pancakes with blueberries and maple syrup. Yes, that is a classic that I love too. It's sometimes nice to change it up though. Thanks Karen. My last for this year! I love all your pancake creations. They look mouthwateringly good. oh man... so many pancake recipes out there but I have to say I think this one tops them all... love your fluffy thick pancakes! Thanks Dom, I do like a Scotch pancake and you can go so crazy with the toppings. Haha, you beat me to it. I'm making chocolate pancakes tomorrow. You have the stack off to a fine art now Jac and I love your cream and lemon curd topping. I thought you might Chcolette. I am sure they will be divine. The curd was so good with the pancakes. Mind you I could just eat curd with a spoon. oh no - more pancakes, more temptation! Girl, you're going crazy with those pancake stacks over there. I know, it is time to stop! 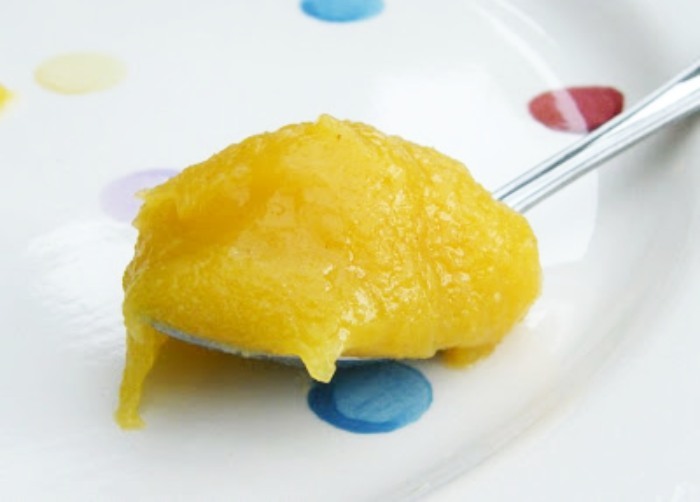 I haven't had lemon curd for ages - great idea on pancakes! I don't have it often. I so tend to forget about it and then I remember and fall in love with it all over again! Those look amazing, I've been meaning to try putting cocoa powder in mine so it's good to see how well it works. It does work well, although I think I prefer them plain. Pancakes are for all the year round? So much choice! They are, but I think I shall be having a pancake break for a wee while. Corr, bet they tasted good! These look mouth wateringly delicious!! I love the use of lemon curd - genius! As someone who is trying to control her cholesterol all these pancakes are torture. But I must admit to being tempted by these. I simply adore lemon curd but never tried it on pancakes. Thanks Madeleine and I can tell you it i amazing in pancakes.